Tami Ross is a registered and licensed dietitian, certified and licensed diabetes educator, and a nationally recognized speaker and health and nutrition writer. She has co-authored nine books and has written more than 100 articles for professional and lay publications. 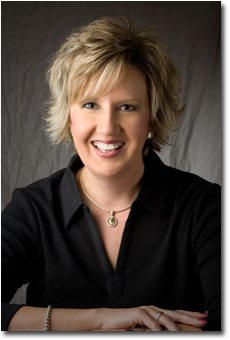 Tami is a frequent presenter for meetings of professional and community organizations. 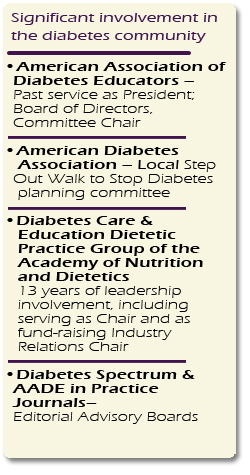 She presented the Presidential Address to an audience of over 3000 at the 2013 Annual Meeting and Exhibition of the American Association of Diabetes Educators. She has been featured in USA Today and on CBN. Tami also serves in an advisory capacity to food and pharmaceutical companies. Tami received her Bachelor of Science Degree from the University of Kentucky and has over 25 years experience providing diabetes and nutrition education in a variety of settings. In addition to her thriving consulting career, Tami counsels individuals seeking nutrition guidance and diabetes education through her practice in Lexington, KY. She is recent Past President of the American Association of Diabetes Educators, and was 2008 Diabetes Educator of the Year of the Academy of Nutrition and Dietetics' Diabetes Care & Education dietetic practice group.